Ideal-tek High Precision Tweezers are also available with an high quality easy to use locking system. Our locking tweezers have the same very fine tips as our standard product and are available in 8 styles. 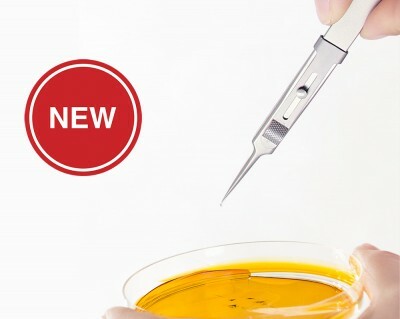 The locking system allows users to hold specimens or parts securely without the need to apply constant pressure on the tweezers. The anti-slip surface on the locking mechanism slider insures a firm grip. Ideal-tek locking tweezers are an alternative to reverse or cross-over tweezers. Made of Anti-acid, Anti-magnetic Stainless Steel, Ideal-tek tweezers are corrosion resistance and meet the toughest requirements for high precision hand tools.